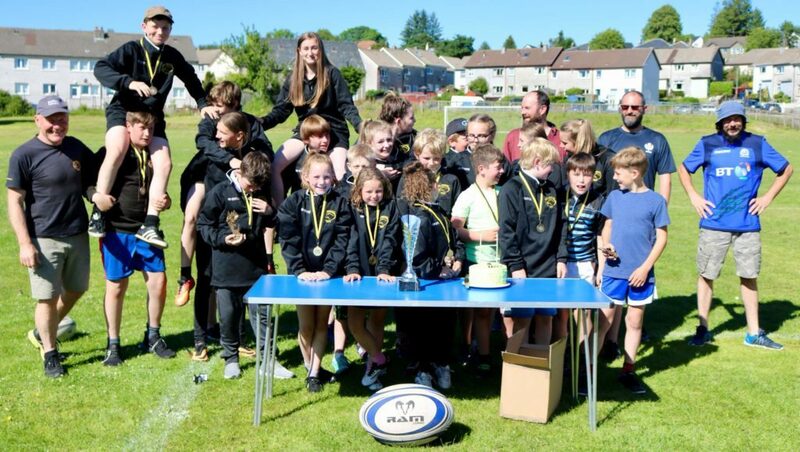 The Mid Argyll Rugby Club had its annual end-of-season barbeque and awards ceremony at the Ropework park on Sunday June 24. The kids from P4/5 and P6/7 that played a big part in winning the league and runners up in P4/5 also received medals. Of the primary six and sevens, player of the year went to Murray MacDonald, most improved player of the year went to Aileen Barr, the coaches award went to Campbell Shaw and best newcomer went to Rhys Coffield. Of the younger kids of primary four and five, the player of the year award went to Arran Martin; most improved player of the year went to Fergus Bennet; the coaches award went to Jorja and Jemma MacDonald and best newcomer went to Logan Cinnamond. On top of their awards, all the kids were also given a new training top sponsored by Jewsons. The players also clubbed together to get all the coaches a gift each.